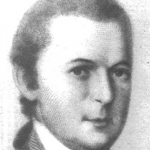 Clement Biddle (1740–1814) was born in Philadelphia and worked with his father’s shipping business until the start of the Revolutionary Era. In the 1760s, Biddle organized a fighting unit of Quakers who aided allies in resistance campaigns despite the pacifist vows of their faith. Biddle’s success in this role led to his appointment as deputy Quartermaster of a 10,000-member volunteer regiment at the onset of the Revolutionary War. Biddle was later promoted to Commissary General and served under George Washington’s command at Valley Forge. 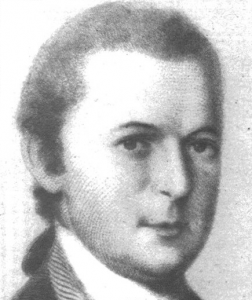 After the war, he was appointed as Pennsylvania’s first U.S. Marshal, became a notary and broker, and oversaw the first census of the United States. 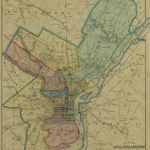 When he compiled Philadelphia’s 1791 city directory, Biddle assigned odd numbers to the north and east sides of each street and even numbers to the south and west, with numbers on both sides of the block moving in the same direction. This distinct organizational approach served the needs of the city until the 1850s. 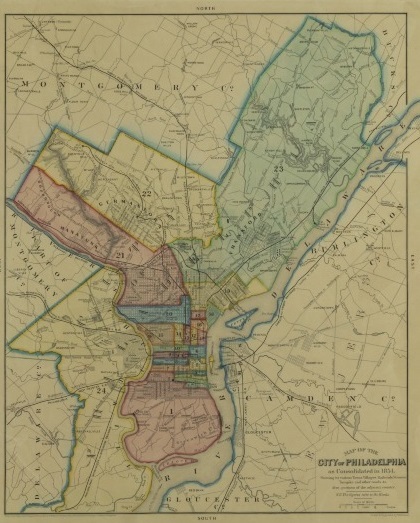 Until 1854, Philadelphia’s population was concentrated within William Penn’s original city boundaries, between the Delaware and Schuylkill rivers and from what is now South Street to Vine. By 1820, however, inhabitants in the independent boroughs, districts, and townships that made up the rest of the county already outnumbered those in the city proper. The Consolidation Act of 1854 united several of these boroughs with the city proper, extending Philadelphia’s territory from two square miles to nearly 130. The Act’s successful passage led to major changes, including altered street names and the 1856 introduction of John Mascher’s (c. 1824–62) Decimal System, which allowed residents to easily pinpoint a location on the city’s grid. Morton McMichael (1807–79) was born in Burlington County, New Jersey, and attended the University of Pennsylvania. 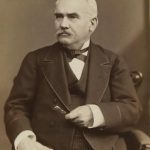 In addition to his role as sole proprietor of the North American newspaper (1851–70), McMichael remained politically active in Philadelphia, serving as Alderman of the Spring Garden District, High Sheriff (1843–46), and Mayor (1865–68). McMichael chaired the Executive Consolidation Committee in 1854 alongside fellow civic luminaries Samuel Vaughan Merrick (1801–70), a wealthy industrialist, and George W. Carpenter (1802–60), a scientist and druggist. 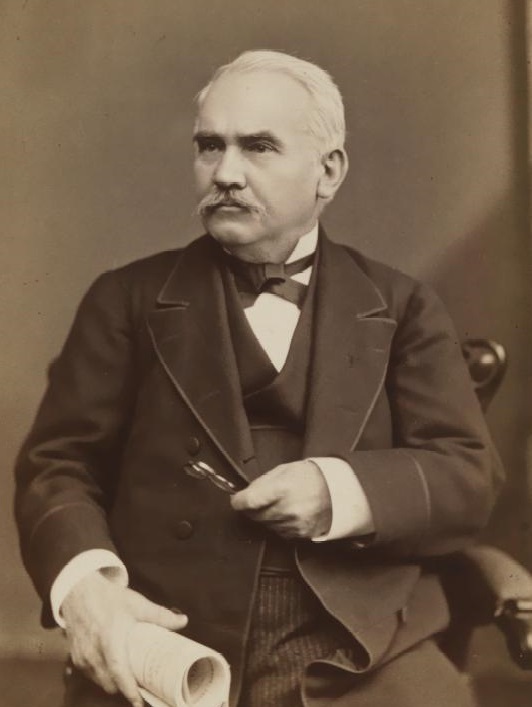 McMichael’s ardent support for consolidation led to the union of Philadelphia’s suburbs and the city proper; his North American newspaper also advocated for the importance of a “properly regulated and enforced” street numbering system. 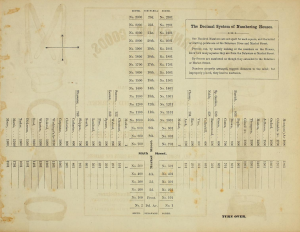 Inventor and councilman John Mascher (c. 1824–62) introduced the Decimal System of house numbering in 1856. The system involved numbering blocks from east to west based upon the numerical street they intersected at their eastern ends. In this excerpt from the 1861 Philadelphia city directory, publisher Archibald McElroy (1800–75) uses Sixth Street and Market Street as examples of the Decimal System’s application. The text in the top right describes the system’s ability to help residents gauge their distance from landmarks (Delaware River) and major streets (Market) simply by looking at house numbers. Philadelphians, having pioneered the gridiron street layout in North America, also led the way in street numbering. 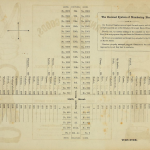 The grid had been in place for more than a century by the time citizens began to experiment with ways to number the buildings that lined their streets in the late eighteenth and early nineteenth centuries. But by the Civil War, the “decimal system” of numbering addresses that persisted into the twenty-first century had been put in place. Although Biddle’s system served the needs of a late eighteenth-century port (and was soon copied in Paris), it struggled to adapt to Philadelphia’s nineteenth-century growth. As builders tore down old dwellings and skipped over vacant lots, addresses became harder to assign in any coherent manner. New properties, which needed individual markers for tax assessment, tended to be numbered in the order in which they had been built rather than on their actual location. A lack of coordination between the two-square-mile city proper and the rapidly expanding independent districts beyond its borders contributed to the chaos. By 1850 the consequences were amusing and confusing. Houses with the same numerical address sometimes stood hundreds of yards apart. Fractional addresses—1/4, 1/3, 1/2—were not uncommon. One Callowhill Street block reputedly ran inwards from either end with the same numbers. “[I]t is a serious undertaking to hunt any dwelling,” complained one newspaper a few years before the Civil War. Biddle’s odd and even numbering no longer seemed adequate. In the middle decades of the nineteenth-century Philadelphians searched for a better way. A proposal to number houses by block had been brought to the attention of City Councils in 1830, but no action was taken. Calls for reform resumed during the real estate boom of the early 1850s. The city government doubted it had the legal authority to compel property owners to renumber their dwellings and councilmen wondered whether a change in the city proper would actually add to the confusion if adjacent districts did not follow suit. Morton McMichael’s (1807-79) North American newspaper, which led the drive for a new system, responded that an address was not the private property of a dwelling’s owner. Numbers, it insisted, are “an indispensable part of our communitary system,” and “must be properly regulated and enforced.” The union of the city and districts in the Consolidation Act of 1854, which McMichael helped to push through, paved the way for a metropolitan-wide change. Weeks before the new charter won legislative assent in Harrisburg the north-south streets running in from the Schuylkill, which had been numbered in ascending order from the river to Broad, were given the names they have borne since: Schuylkill Eighth Street becoming Fifteenth, and so on. This brought them into sequence with the main streets that ran parallel to them east of Broad, which from Philadelphia’s founding had, with the exception of Front (the equivalent of First) and Broad (the equivalent of Fourteenth), been numbered from the Delaware waterfront westwards. That reform paved the way for a more radical change in 1856 when the inventor and councilman John Mascher (c. 1824-1862) introduced what would become known as the “Decimal” or “Philadelphia System.” The system involved numbering blocks from east to west based upon the numerical street they intersected at their eastern ends. Houses on each block would then be given addresses from one to a hundred on Biddle’s odd/even principle. Whereas before, 220 Chestnut might have been anywhere along the street, from 1857, a visitor to the city could quickly locate it between Second and Third Streets. A similar method numbered addresses on north-south blocks, though a New York-style suggestion to rename the east-west street by number did not succeed, meaning Walnut dodged the fate of becoming South Second Avenue. Mascher’s design was copied in other gridiron cities and helped to make Philadelphia an easy metropolis to pinpoint a location long before Google Maps. Yet it was not universally welcomed at the time. Many businesses continued to use their old numbers alongside the new ones while one owner threatened to sue anyone who profited from his old address; others no doubt feared the system would be used to better tax and conscript residents. Beyond the limits of the consolidated city, where the gridiron plan often gave way to meandering suburban streets, numbering proved harder to systematize. In the Main Line suburbs, for instance, a 1910 ordinance made major arteries the “zero axes” from which properties were numbered every twenty-five feet, with (in line with the Philadelphia practice) the numbers jumping by a hundred each block. Progressive era reformers, however, conceded that the “work of numbering” was “exceedingly difficult,” given the winding roads, and recommended where possible continuing Mascher’s plan using Lancaster Avenue and City Line Avenue as the twin axes. The township’s Health and Drainage Department, which had jurisdiction over street numbers, did not act on the suggestion. But whether gridded or not, streets across the region came under the sway of municipal regulation when it came to numbering households. Philadelphia’s street numbering system seems at first glance a rational solution to the challenges of rapid growth. But reform was slow to come by and ultimately depended on the expansion of the municipal government’s administrative capacity and territorial reach. It is no coincidence that two of the most influential figures in developing numbering systems—Biddle and McMichael—were both pioneering state-builders. 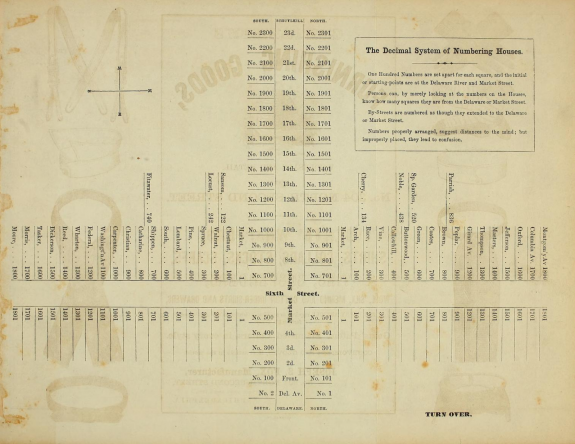 Nor is it a surprise that city directories, which were important allies of the business community, played a key role in developing street numbering; a metropolis built on commerce, industry, and real estate operations needed to be navigable, after all. The crucial decades in the development of street numbers in Philadelphia— the 1780s to 1860s—were years in which urbanization, capitalism, and government power remade American cities. Addresses that became taken for granted were a product of those forces. Alotta, Robert. Mermaids, Monasteries, Cherokees and Custer: The Stories Behind Philadelphia Street Names. Los Angeles: Bonus Books, 1986. Biddle, Clement ed. The Philadelphia Directory. Philadelphia: James Johnson, 1791. Macpherson, John ed. Macpherson’s Directory for the City and Suburbs of Philadelphia. Philadelphia: 1785. Moak, Jefferson M. Philadelphia Street Name Changes. Rev. ed. Philadelphia: Chestnut Hill Almanac, 2001. Rose-Redwood, Reuben. “Indexing the Great Ledger of the Community: Urban House Numbering, City Directories, and the Production of Spatial Legibility.” Journal of Historical Geography 34 (2008): 286-310. Tanter, Anton. House Numbers: Pictures of a Forgotten History. London: Reaktion Books, 2015. The Government of Lower Merion Township, Pennsylvania: A Report of a Survey by the Bureau of Municipal Research, Philadelphia. Ardmore, Pa.: The Commissioners of Lower Merion Township, 1922. Upton, Dell. Another City: Urban Life and Urban Spaces in the New American Republic New Haven: Yale University Press, 2008. White, Francis ed., The Philadelphia Directory. Philadelphia: Young, Stewart, and McCullough, 1785. Greater Philadelphia GeoHistory Network, Athenaeum of Philadelphia, 219 S. Sixth Street, Philadelphia. Collection of Maps and Atlases, Philadelphia City Archives, Suite 150, 3101 Market Street, Philadelphia. Map Collection, Philadelphia Free Library, Parkway Central Library, 1901 Vine Street, Philadelphia. Intersection of Front and Market Streets. Addresses moving west from this intersection begin from 100, and increase by a multiple of 100 for every numbered street. Addresses to the north and south likewise ascend from this point in increments of 100 per block. Another resource is the actual “Ordinance to effect uniformity in numbering houses” passed by the Common and Select Councils and approved by Mayor Richard Vaux on September 16, 1856. contained in the “Ordinances and Joint Resolutions of the Select and Common Councils of the Consolidated City of Philadelphia” (Philadelphia, 1856, Chapter CXLI, p. 219).